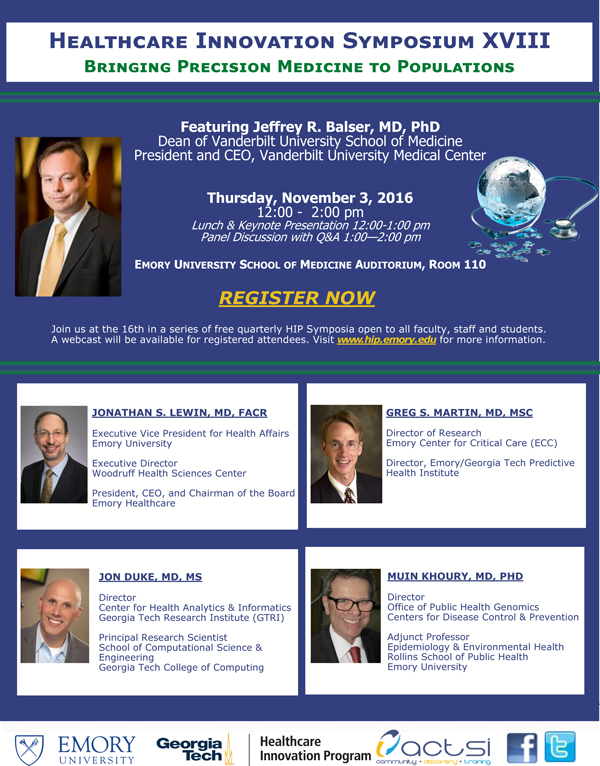 Healthcare Innovation Symposium XVIII - "Bringing Precision Medicine to Populations"
The 18th Healthcare Innovation Symposium will be held on Thursday, November 3, 2016, from 12:00-2pm, in the Emory University School of Medicine Auditorium, Room 110. Jeff Balser, MD, PhD, will be the keynote speaker. Dr. Balser is the President & CEO of Vanderbilt University Medical Center and Dean of Vanderbilt University School of Medicine.